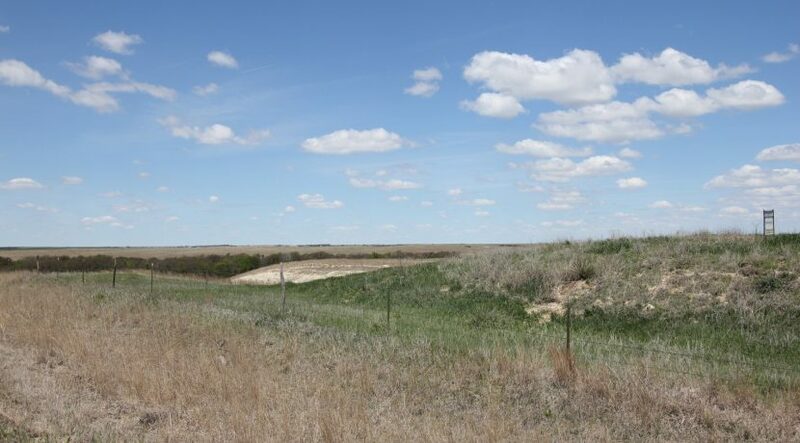 THIS LAND SOLD FOR $650,000! 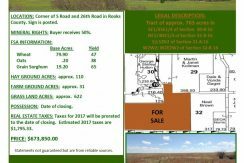 LAND THAT HAS HUGE POTENTIAL IN ALL AREAS! 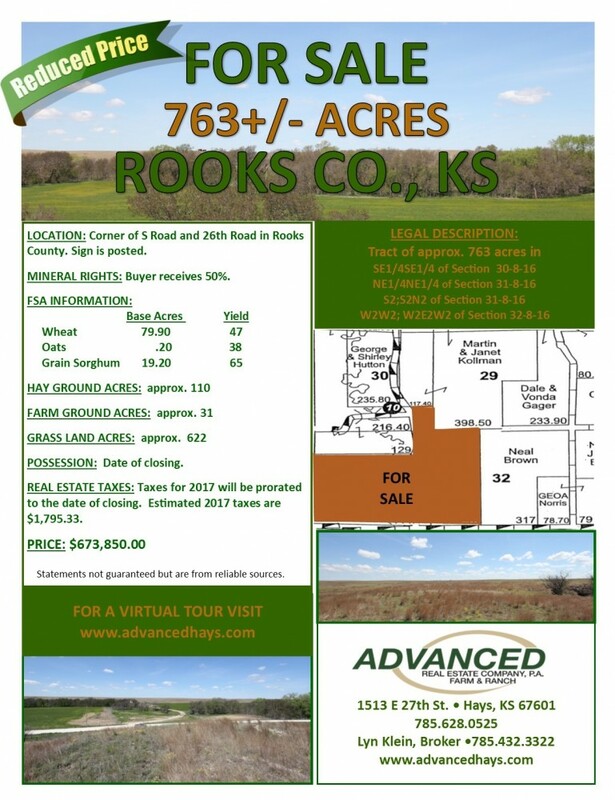 If you want pasture, hay bottom, and farmland, plus a bonus of Deer and Turkey population then these 763 acres +- is for you. 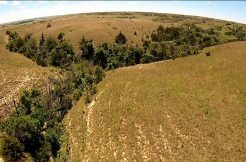 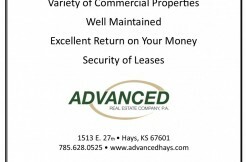 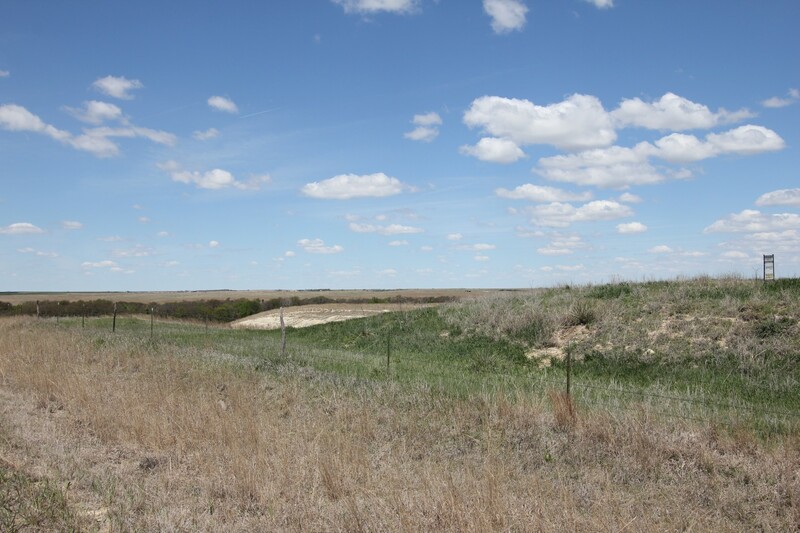 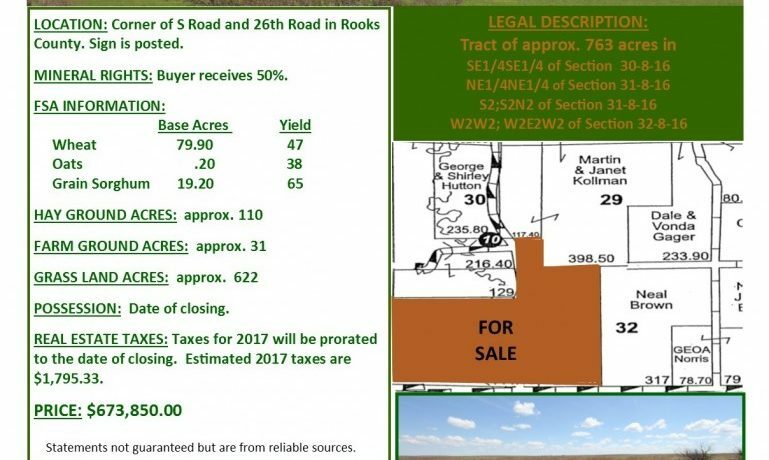 Located in Rooks County, Kansas, the Seller has done an excellent job of managing this property with very good fences, and has never over grazed the grass. 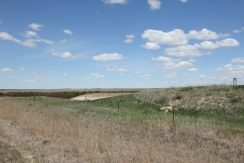 All of the pastures have a very good supply of water. 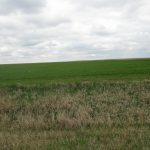 The bottom ground yields four cuttings a year of alfalfa.